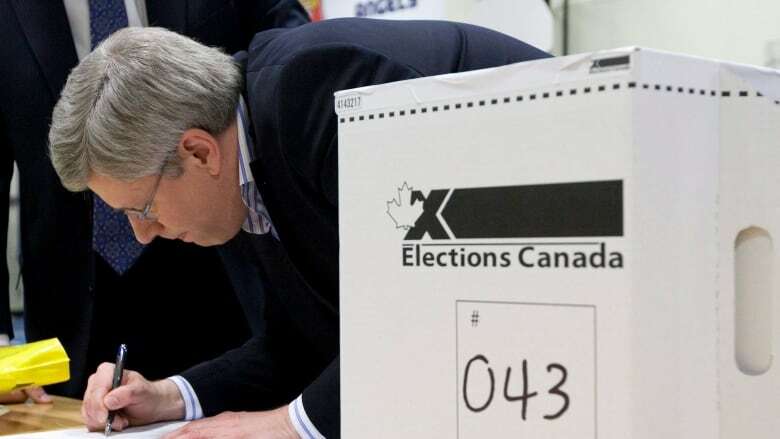 The creation of 30 new House of Commons seats and open nomination contests in all ridings for the three major political parties means the lead-up to the 2015 federal election will be unlike any that has been held before. With the three major political parties holding open nominations in all ridings, incumbent MPs — even cabinet ministers — are facing the task of fighting for their seats within their own parties. This is historical practice for the NDP, but it will be a first for Liberals and Conservatives. What's more, as part of the changes to Canada's electoral map, most MPs are seeing their constituencies sliced, diced and in some cases, gone altogether. Elections Canada is carving 30 new ridings out of existing ones — 15 to Ontario, six to Alberta, six to British Columbia and three to Quebec — effectively shaking up the electoral map. Of the 338 ridings in the next federal election, only 44 will remain unchanged in some way. Has your riding changed? Find out here. For example, Conservative MP Leon Benoit’s Vegreville-Wainwright riding in eastern Alberta is set to disappear — it’s being divided and absorbed into three new constituencies. Benoit hasn't yet announced if he will run again and, if so, where.Federal electoral districts are reviewed every 10 years to ensure they reflect Canada's population changes. The addition of 30 new ridings is the biggest increase in the history of Canada. Others face an easier time. Fellow Conservative MP Michelle Rempel recently announced she’s throwing her hat in the ring for the redrawn riding of Calgary–Nose Hill. That riding is currently held by Diane Ablonczy, who has said she won't seek re-election. That clears a path for Rempel's nomination, as her own Calgary Centre–North riding is being split, with some of it absorbed into Calgary–Nose Hill and the rest into a new district. The new electoral map could have potentially laid the groundwork for serious infighting among Conservative MPs. For example, when the new boundaries were first made known in early 2013, Jim Hillyer immediately announced his intention to run for the redrawn Medicine Hat riding, which absorbed part of his Lethbridge constituency, against sitting Conservative MP LaVar Payne. Hillyer has since retracted that statement, and the Conservative Party is making it clear that such fights will be avoided. "We do not see a scenario in which incumbents will have to challenge one another," Cory Hann, director of communications, wrote in an email to CBC News. That's thanks to careful planning. According to political strategist Geoff Norquay, senior members of the party would have examined the profiles of each MP — his or her experience, personality and background — to match them with the riding which would give them the best chance of winning. Norquay, who once served as Prime Minister Stephen Harper’s director of communications, said that it's "always better for there to be a negotiated agreement" among candidates, with thorough calculations in order to decide who's stronger or weaker before coming to a conclusion. The MPs must square off against others who want to replace them under the party banner. Outspoken Calgary West MP Rob Anders has ruffled more than a few feathers since he was first elected in 1997. For years, local conservatives have wanted to oust him from office, without any success. In 2009, a party rule protecting incumbent MPs saved Anders from losing his seat. Former provincial cabinet minister Ron Liepert is seizing this opportunity to challenge Anders for the nomination. For his part, Anders called it an “age-old battle” between Blue Tories and Red Tories. “The Red Tories are like a flu that just won’t go away,” he said in a recent interview on CBC News Network’s Power & Politics. Nomination battles can get ugly, admits Norquay, whether there's an incumbent or not. In Alberta, where all seats but one belong to the Tories, the real challenge is the nomination. "No one cares about the general election because it’s assumed you’ll win," Norquay said. Some longtime members are welcoming the additional level of competition. Conservative MP Deepak Obhrai, who first took office in 1997, calls it "extremely refreshing" and a good gauge of how much support a candidate has from the community and the party. “A nomination is an individual's battle, an individual's record. It’s the individual in the forefront,” he said. But Obhrai also acknowledges that a candidate's success depends on support from members of the core group who run the party behind the scenes, alluding to directors and other senior staff. He said they are a key element in winning a nomination. Just look at last fall’s Toronto-Centre byelection. 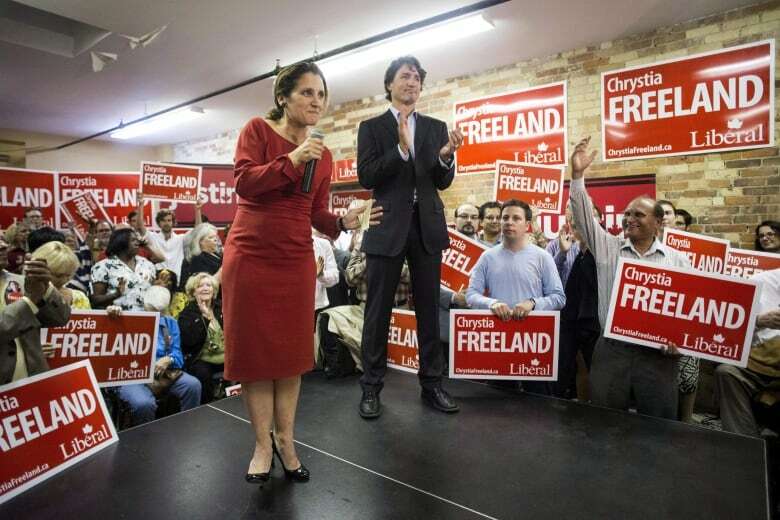 Even though Liberal Leader Justin Trudeau committed to holding open nomination contests, he made a key effort to reach out and bring in star candidate Chrystia Freeland, whose campaign team had a number of Trudeau supporters. All party leaders still retain final say and must sign off on the nomination papers. The reason for that, said Norquay, is to block destructive candidates who might possibly embarrass the party. The NDP does have some strings attached to its concept of open nominations — namely, an equity mandate. The aim is to "build a slate that reflects the diversity of Canada," said NDP national director Nathan Rotman. That means local riding associations must “prove they made a good effort at recruiting minorities” — women, visible minorities, those with disabilities and aboriginal people, for example. Should a local nomination have only straight, white men competing against each other, the NDP's national committee reserves the right to reject the nomination meeting. One of the party's goals is to have 50 per cent of its caucus filled by women. Rotman said the party reached 40 per cent in the last election, the best it has ever done. It’s still at least months before party candidates face off against each other. The redrawn boundaries mean electoral district associations must first go through a process called “re-founding.” Depending on how much their boundaries have changed, EDAs must dissolve and form new entities, which involves electing a new board of directors and settling finances and resources from the old associations. Following that, they must submit all paperwork and register the new EDA with Elections Canada. Nomination meetings can then be set upon receiving approval. The general election is tentatively set for Oct. 19, 2015, but could be called as early as May 2014, when the new boundaries will take effect. Elections Canada allows elections to take place at least seven months after the finalization and proclamation of redistribution, which was completed in October 2013.